Know the WHAT and the WHY. Trust that the HOW will reveal itself. My heart literally burst open this morning as I realised that in just five weeks I get to spend a whole weekend with the amazing Meg Wheatley here in Melbourne. I hope to learn from Meg, how to become an ever-stronger, cheerful and disciplined warrior for the human spirit as I scale the impact of The Purpose Project. When I am ‘on purpose’ and working steadfastly towards my vision, rare and exquisite opportunities like spending time with Meg, present themselves every day and I just say YES because I’m being called to do it. There’s no second-guessing or anxiety about the decision. 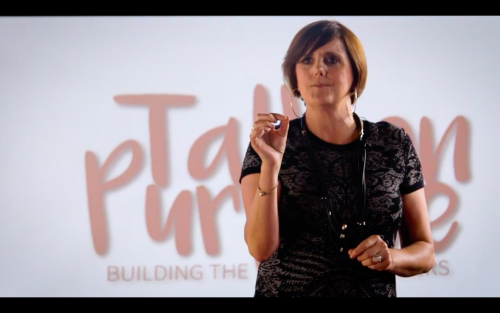 Being ‘on purpose’ means that I am clear about what I say YES to. 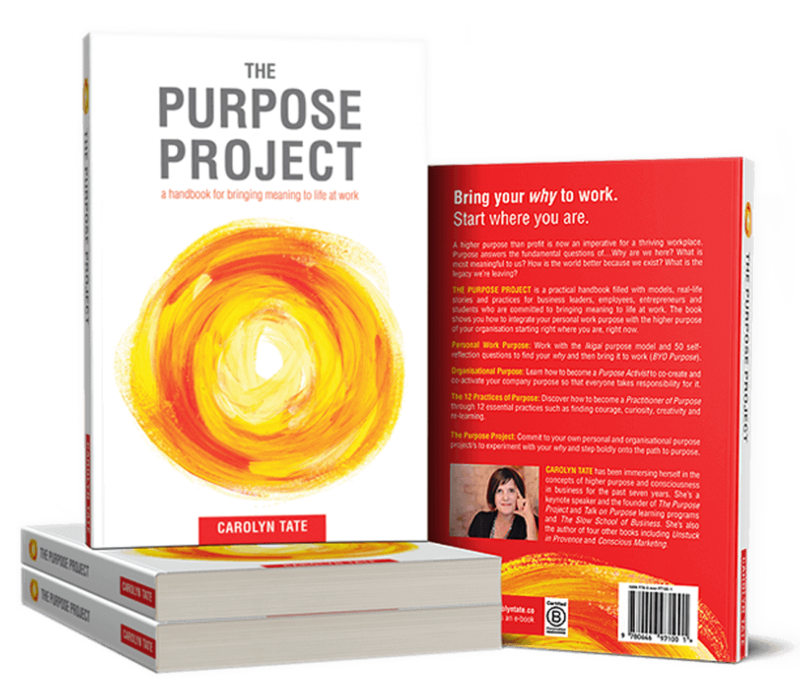 For the first half of this year, I was a woman on a single-minded mission to complete the manuscript for The Purpose Project. I was the only human required for the gestation of this baby and it was simple until it came time for publishing and delivering the book and my team of doulas stepped in (you know you are, thank you my beautiful friends). The how was always clear to me. Even when the book was launched just four weeks ago, the how was clear to me. I had a simple mission to have 1000 books in the hands of people in one month. (We’re at 721 now with only three days to go. Can you help? (Click here, it’s free on Kindle for the next two days). To achieve my goal, I went on the road to have many coffees with my ‘purpose activist’ friends to share the book. 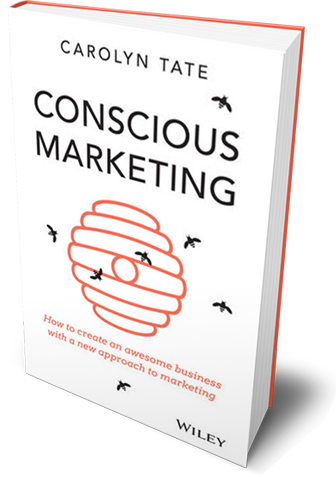 I’ve sent the book to leaders at Seek, Atlassian, Telstra, Officeworks, Culture Amp, Airbnb, Google, B Corp, Linkedin, Lululemon and many, many more. I even ambushed a Startup Victoria event and gave it to a few venture capitalists and I personally delivered it to Waleed and Carrie at The Project. 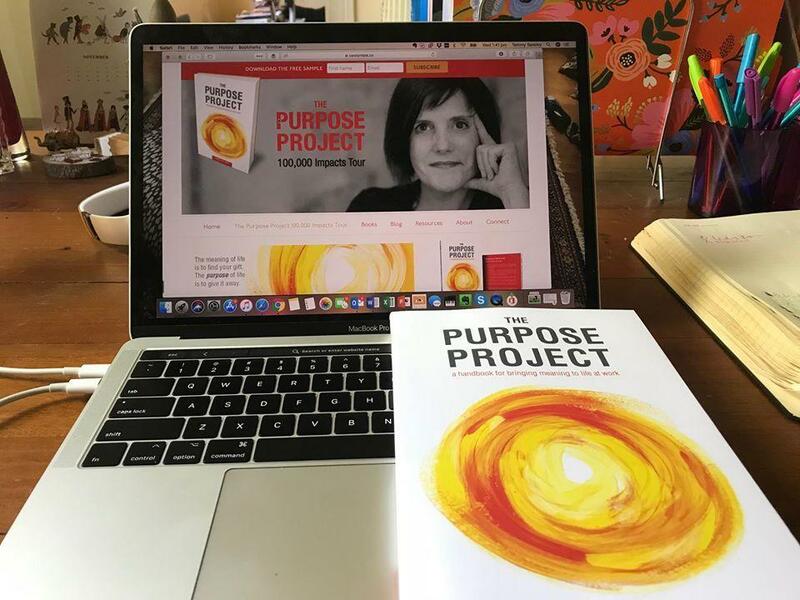 Imagine, The Purpose Project on The Project – wouldn’t that be something? And I’ve probably breached every social media protocol bombarding Facebook and LinkedIn figuring people will just de-friend me or flick past my posts if I’m annoying them. I’m not doing this to become a ‘thought leader’, an expert or for my own accolades. I’m doing it because I’m at one with my why. I believe that the ultimate response to the travesties in our world, is for us each to take radical responsibility for reaching our own highest potential. My own experience of writing five books now, has shown me that I’m fulfilling my highest potential when I’m ‘on purpose’ and doing what I love. I wrote The Purpose Project to share the raggedy treasure map I followed to discover my own why, so that others could benefit. I wanted to let readers know that they’re not alone, that I feel the pain they’re feeling at work and to show them that there’s a way through it. Now this baby is out in the world, it requires a global village to raise it and the possibilities on how to do that, are endless. When my 1000 books goal is achieved, I’m going to take a couple of days out to rejuvenate, meditate and recalibrate so I can jump right into my next project, which is to focus on the how again by discovering the best path to make The Purpose Project scalable, accessible and actionable for millions of people around the globe. I’m still anxious and uncertain about the how right now, but I’m okay with it. I’m sitting with it, feeling into it and even welcoming it. Because I know the what and the why, I trust that the how will reveal itself. My deepest and most humble thanks go to all of you who are supporting me and my message as we venture into this brave new world. I’m sending you a fierce warriors love on this beautiful adventure called life!